While a budget may seem restrictive and burdensome, in reality, it gives you control of your life and allows you to make proactive choices about your money. Bringing down your debt and living within your means enables you to feel good about your life again. Overwhelmed about where to begin? Here’s a five-step plan from Lending Club to put you on the path to taking control of your finances. Even if you already have a budget in place, it’s a good idea to re-evaluate using these guidelines. Think big. As in the big picture. In order to create an accurate budget, you need to look at a full year, not just one month at a time, because financial obligations—and windfalls—can vary from month to month. For example, you might spend more in the summer months or in the pricey winter heating months. And when it comes to your income, perhaps you receive an end-of-the-year bonus or pay property taxes twice a year. All of these debits and credits make each month different, so the most accurate thing to do is create an annual budget, then divide by 12. Prepare for what’s ahead. Most of us get into hot water by over or underestimating our yearly income, then going into debt when we don’t have enough to spend on something we need. So getting a clear picture of your exact income is critical to the budget process. Include all sources of income beyond your pay, such as bonuses, commissions, tax refunds, child support, etc. Go back and find out what you brought home in all of these categories last year to come up with a guide for the year ahead. While some of these costs are fixed, others are variable, so once again, go back and see what you spent last year to come up with a budget for the year ahead. Your online banking and credit card accounts will help you retrace what you spent on groceries, clothing, entertainment and other undocumented expenses. Plan for savings and debt repayment. Once you’ve determined what you must spend, many people often make the mistake of spending the rest on wants. But this is where you should pay yourself first in the form of savings and paying down debt. Otherwise, you’ll end up spending everything you earn. Allocate money for your wants. Once you’ve allocated money to the above savings goals, go ahead and treat yourself to some fun stuff. But keep this equation in mind: The amount of money available to spend on your wants is no more than what’s left after you subtract the cost of your needs and savings from your net income. 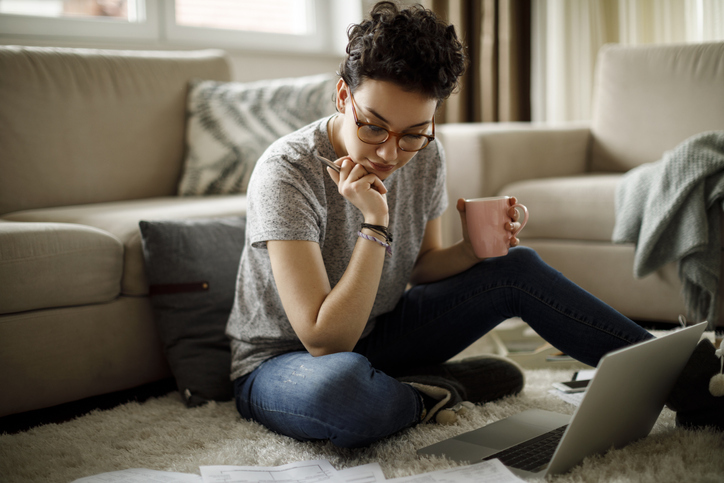 Once you’ve tackled your budget, you’ll know exactly where your money is going, how much you have left to spend and, most importantly, the peace of mind that you’re saving toward important future goals.